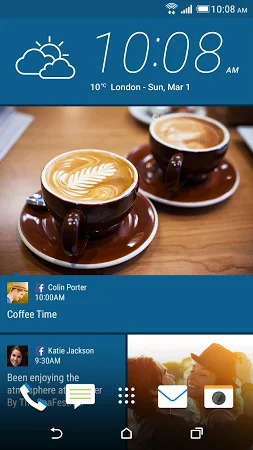 This plugin from HTC lets you get Facebook updates in BlinkFeed. 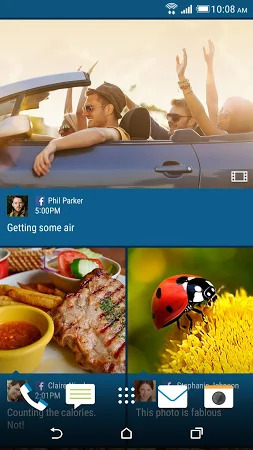 Just sign in to the Facebook app, let HTC Sense access your updates when prompted and then BlinkFeed will be able to load and display status updates, pictures and more from your friends or liked pages. Download the setup package of HTC Social Plugin 8.00.752746 that is available for free and check out users' reviews on Droid Informer. The app is developed for Android 4.4 and higher. This application is completely safe to download. HTC Social Plugin was originally designed by HTC Corporation and it is listed among the Social tools category. The app has been downloaded and installed by over 10M users and the latest release is dated Jun 8, 2016. This application is suitable for users aged 17 and older, it has the average rating 3.6 on Google Play. The statistics show that HTC Social Plugin is popular mostly among HTC and Samsung users. In users’ view, the plus of the app is facebook notifications, but some people indicate that the weak side of this application is ads and video ads. Enjoy watching multiple Facebook fan pages on a single screen! It is the android application devoted to Lord Ganesha. It is made to make photo and video sharing easy. Checkin manager for meetup. Com is a tool to help organisers of Meetup.